When my daughter was a baby, she hated the car seat and so did I. If I was lucky enough that she fell asleep while I was driving, my heart would always stop when I would see her neck all crooked over while she slept. I seriously remember checking to make sure she was breathing so many times because it just looked like the most unnatural position for her head to be all turned onto her shoulder. I tried using those infant head pillows but they were not usually that much help. The problem persisted as she grew into a toddler and her head would roll forward. I remember wanting to rig up my own solution but being afraid it wouldn’t be safe in case of an accident. Well, finally, the solution is here with NapUp Toddler Car Seat Head Support. This post is sponsored by NapUp but all opinions expressed are my own. Seriously, why didn’t anyone invent NapUp before? And I am so glad it has come along to help out new parents, babies, and toddlers. 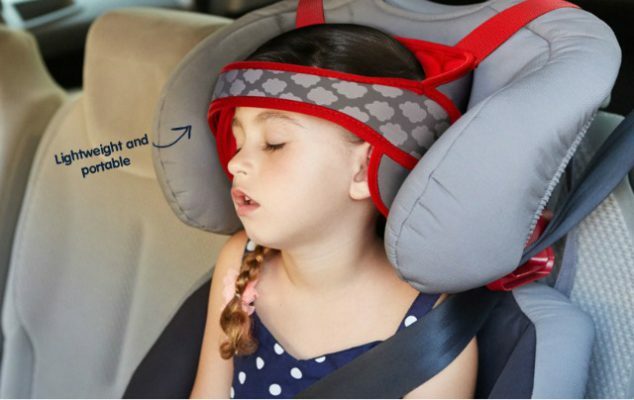 This new Toddler Car Seat Head Support solution is absolutely stylish and cute and it is designed to support children’s heads while sleeping in their car seats. NapUp is a patented innovative system which stops children’s heads from ‘bobbing’ forward when they fall asleep on car rides is the answer to a universal worry for parents. It helps ensure comfortable travel for our children and a less distracted drive for parents. NapUp Car Seat Head Support was the idea of a Dad who was worried about his daughter’s head flopping during sleep in the car and he engaged the skills of engineers, doctors and child experts to design NapUp. It has been through multiple crash tests at CALSPAN, a leading U.S. Lab specializing in car seat, booster seat and infant carrier testing and has passed the US Federal Safety Standard tests (Federal Motor Vehicle Safety Standard -213 and NPRN 213). Perfectly comfortable for the child, NapUp Car Seat Head Support doesn’t restrict or restrain the child’s movement and only touches them if they nod forward during sleep. It has been rigorously tested and it automatically detaches in the event of a collision. 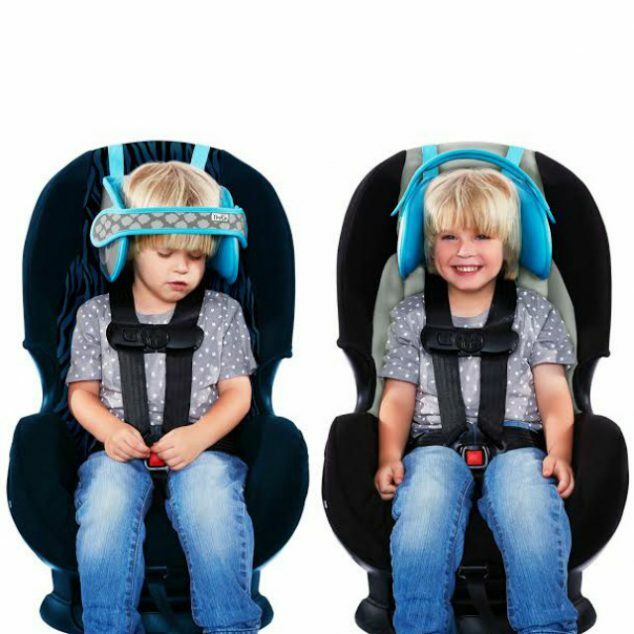 This toddler car seat head support is simple to use for both parent and child and adjusts to fit every head size so your child can sleep comfortably on the go. 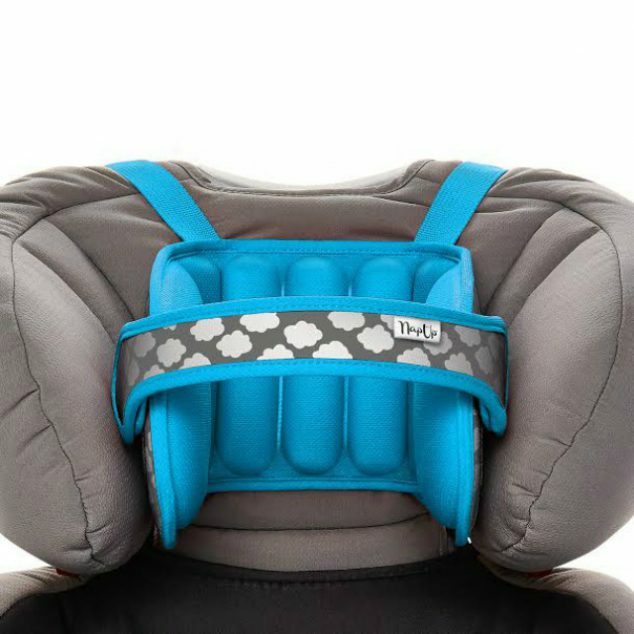 The NapUp toddler car seat head support product is available through my affiliate link on Amazon or at mynapup.com. Have you ever worried about a child being uncomfortable while they napped in the car? Do you know someone who has? NapUp would make an excellent gift. This looks like such a great idea to keep baby and toddler upright while sleeping.